A Cowfold teenager has been sentenced after he pleaded guilty to criminal damage offences. 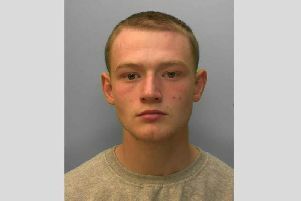 Darren Smith, 18, of Oakfield Road, Cowfold, appeared in Worthing Magistrates’ Court on Thursday July 16. He was given a one year community order with 100 hours of unpaid work and a rehabilitation activity requirement for ten days. He was also ordered to pay a £60 victim surcharge, £85 costs and a £150 criminal courts charge. The offences relate to incidents in Pulborough, West Chiltington and Billingshurst where around 80 vehicles were damaged in the early hours of Monday May 4 and Tuesday May 5. A 19-year-old man from West Chiltington, a 17-year-old boy from West Chiltington and a 14-year-old boy from Dial Post who were also arrested on suspicion of criminal damage to vehicles have been bailed until August 7, police said.